You might be submitting your CVs to various companies, running every day for an interview and still not getting the job. Senior financial analyst at Wilkins Finance, Tim Hampton, confirms that there are times when you cannot pay the bills, life is falling apart and you have got nothing to do. Empty pockets are too heavy for the breadwinner. In this situation to sit there, losing all the hopes because nothing seems to go right. Everything you do turns to ashes sooner or later. However, do not lose hope; there is still hope to make your conditions and life better. Online stock trading can be started at the time of difficulty. It is becoming an increasingly popular way to earn money. Sit back in pajamas and relax on your sofa while you earn an enormous amount of money. But what you might be wondering is how is this possible with empty pockets? You might be thinking, to invest in stock trading, there has to be money in your account, but your accounts are empty. Well, as mentioned earlier there is hope and there is a solution to every problem that arises. Let’s look, step by step, how this can be done. First of all, you need a solid internet connection and a fast processing laptop to start trading online. When making trades, the stock goes up and down in an instant. A slow internet connection or a slow processing laptop can cause you heavy losses. Such as, if you click on selling or buying at a certain point, but due to slow internet connection or a slow response by the laptop it is made later in time when the prices have changed. This will turn the tables upside down. You will end up making a purchase or selling at a price you didn’t intend to. Your next step will be to choose a brokerage firm and a suitable broker for yourself. Open a brokerage account at a well-renowned brokerage firm that has a good reputation. Your stock broker will take commission on every trade he helps you make. Whenever you will sell an investment through your brokerage account you will receive a trade confirmation document. Check the document carefully and thoroughly as there might be a human error which can serve as a disadvantage to you. Moreover, as mentioned earlier, even if you do not have enough money in your bank, you can borrow money from your brokerage firm. This method is called the trading with a margin. In some situations, you can power up your positions up to 3-1. However, this process comes with its risks and it is only advisable to go for this when you are really in need and ready to take a risk. Prior complete knowledge about investing is highly recommended. In a margin method, you short stock. You make money when the company’s shares fall or crumble. 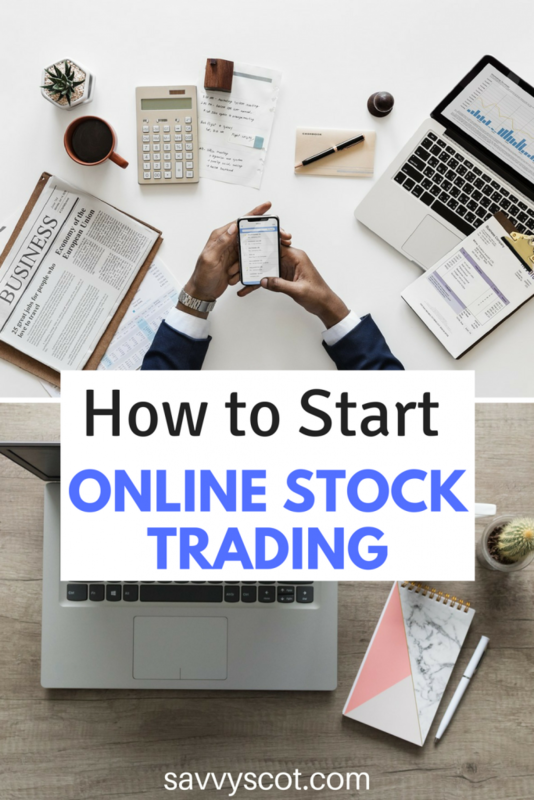 Before making your first trade, you can form ties with some people who are already successful in online stock trading. Watch them closely – how they make their moves, when they sell and when they purchase. It will help you how all this system works. Moreover, to get to know more; you can read guides and articles to online trading just like the one you are reading right now. Furthermore, once you are equipped enough, you have to learn about the investment bank. You can reach out to the investment bank if you are wealthy already or your stockbroker can do that for you. The stock broker will do the trade on your behalf. Once you are settled enough, diversify your portfolio. Do not just stick to one security as it might not be reliable in the long run. Spread out your risk by investing in different securities. So if you are going in loss at one security, you will always have a backup. Finally, do your research and follow your instincts when making the moves. Once you have all the knowledge you are ready to start trading and going a long way ahead in online stock trade market. Make yourself count by being successful.